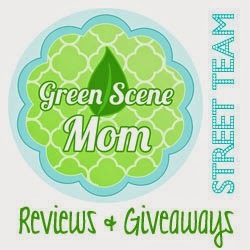 This is a Mama cloth review for you. I have given up most paper products in our change to being a little more green. When I first heard about mama cloth I thought GROSS! When I actually first tried one I was really impressed and I have not looked back or wore a paper pad since then. My friend Sarah who runs Tender Tushies gave me one of her mama cloth to try and here is my review on it. I was given 3 mama cloth one for review and one for giveaway here is how they look. I choose to try the blue one. The middle is bamboo and the colored sides are minky and they are so soft. These one are 10 inches long. I have tried this on a very heavy day over night on day 1 and on light days. It works great for me. These pads retail for $6.00 each. One lucky TTGG follower will be winning the pink one. Just enter with the rafflecopter form. I like the blue with yellow stripes.